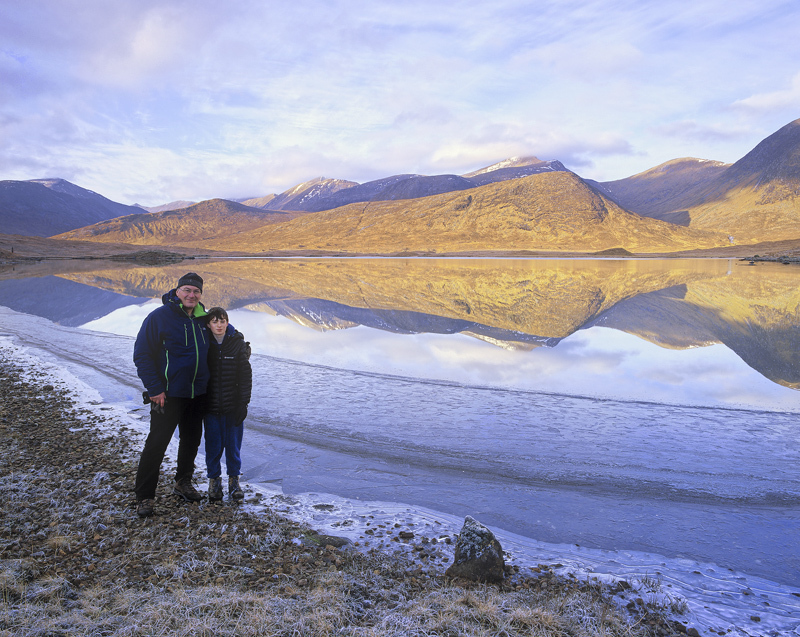 A stunning winter reflection at our wild campsite beside remote Loch Dochard. I went there with my young son Ben for a bit of father and son time with a view to getting some fine winter shots at dusk and dawn and the only feasible way to do it was to take our own tent, sleeping bag and food and hike in for around two hours crossing unstable bridges and icy stepping stones. It was worth it all for the beautiful sunset and the stunning winter morning light following a chilling frost. I rarely take pictures of myself but this seemed most appropriate.